Has your Brick Arch dropped or cracked and need repaired? London Structural Repairs are a small company that can cary out brick arch repair no matter what the situation is with your brick arches. Brick arches are usually a weak part of a building and usually rely on support from below as in a window frame or door frame. Disturbing brick arches can be a costly mistake? Some builders change windows and doors and do no not prop or support the brick arches successfully, this can cause the brick arch to fail by causing downward movement and use cracking to the arch and also cause vertical cracking above the arch. Brick arches are a clever piece of engineering and some designs can result in high structural loads being placed upon them. Brick and stone arches have been used for hundreds of years. Some arches rely on a keystone to lock them into place. 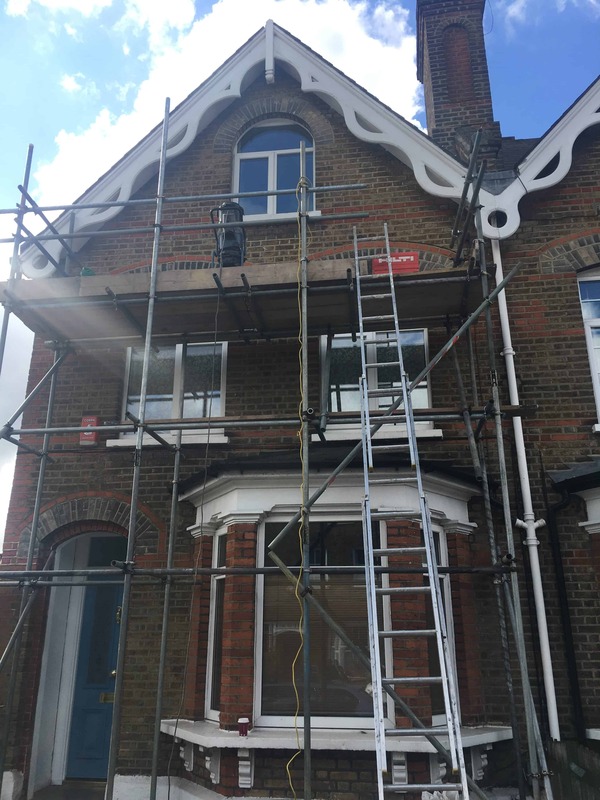 We are always carrying out brick arch repairs in London and the surroundings by using a method known as masonry reinforcement. Home owners contact us with concerns of cracking on or above the brick arches. This project is in South Woodford, East London where the property owner was worried about some cracks that were present in and above their brick arches as they were about to get their windows changed. The window fitting company advised them to get the cracks fixed before they would carry out their works. We carried out brick arch repair by installing Helical bars and grout to create masonry beams above the brick arch, taking the weight off the arch and installed pinning ties up through the arch to help stabilise and resist against any further cracking. If you have any failed or dropped brick arches that need repairing then get in touch with us for a free quote.